More than fifty farmers from across the country each received $1,000 bonus under the Stimulus Package programme implemented by the Ministry of Agriculture and Fisheries. 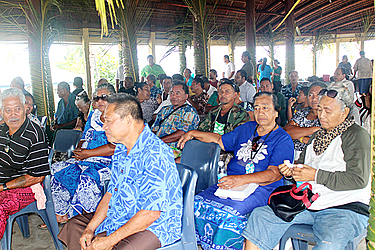 On Wednesday, the farmers rallied at the Maota o Pulenuu, Matagialalua, to collect their bonus. The Stimulus Package programme started in 2010. It was designed to revive the coconut, coffee and cocoa industry in Samoa. The Minister of Agriculture and Fisheries, La’aulialemalietoa Leuatea Schmidt, addressed the gathering, speaking about the importance of the programme, and its contribution to the economy. He highlighted how important agriculture is in terms of economic developments. 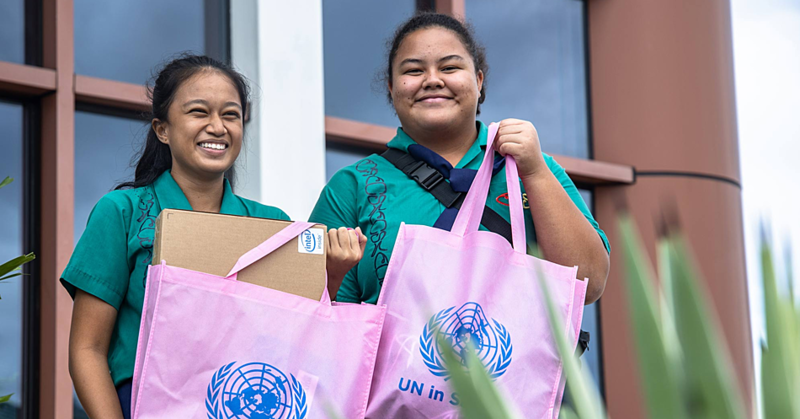 “When our country first became independent, agriculture and fisheries were the main source of income in Samoa. More than 50 percent of our income came from agriculture and fisheries. “However, that has changed over the years. And it’s about time we do something to bring those times back,” he said. With anything in life, La’auli said there have been a lot of challenges. According to Laauli, $2.5 million is being distributed among farmers. La’auli promised the farmers that he will work together with the Ministry to open doors for market to export these products overseas. The Assistant Chief Executive Officer for the Corps Division at the Ministry of Agriculture and Fisheries, Mr. Misa Konelio said the programme has been progressing really well since it was first initiated. However, Misa admitted that there had been a lot of challenges and difficulties along the way with this programme. Under the Stimulus package, farmers receive free seedlings to replant. The Ministry also provides spots checks and free counseling to assist them. And after one year, the farmers are eligible to a cash bonus of $500 tala per acre of land replanted with coconut, cocoa or coffee, and the same amount will be given to the farmers on the third year of the programme. However, on the fourth year, each farmer will receive $2000 tala. The bonus according to Misa is only paid out if the farmer meets all the requirements of the stimulus package. To be eligible for the program, the farmers had to pay a $100 registration fee. They also had to have two acres of uncultivated land for the crops. In return, the Government would provide the crops. The stimulus package is for four years and a total of WST4,000 should be received by the farmer at the end of it. 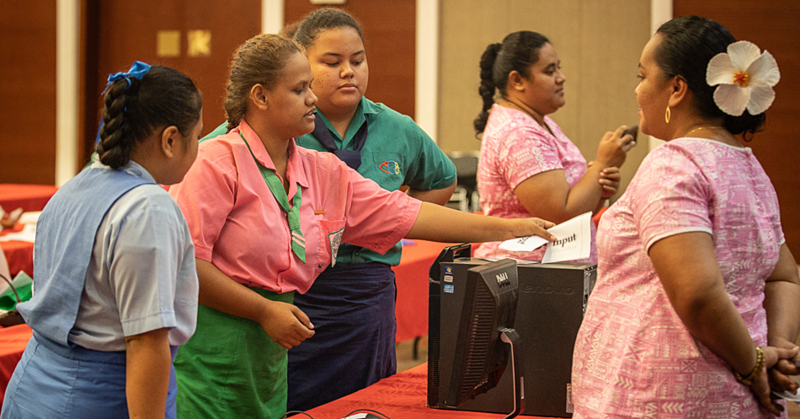 Held at TATTE conference room, more than 30 students were engaged in learning about various I.C.T. benefits and risks, through activities with prizes won and inspirational remarks from guest speakers on Thursday. 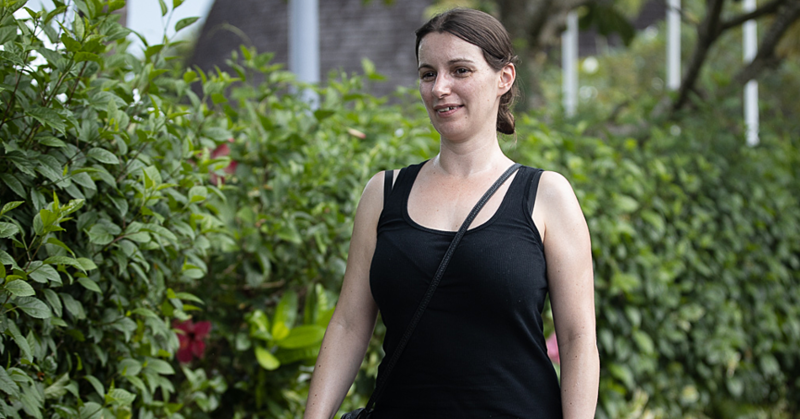 Thirty-seven-year-old Charlotte Hird, who is British but lives and works in New Zealand, told the Samoa Observer that tourists wanted to taste something different other than what global restaurant chains like Mcdonalds offered.